Find out about the Fabulous Virginia Tech University and Alumni Professor Scott Geller who is starting his 50th year at Virginia Tech with the Hokies! Bishop Christine Mercy Johnson (she is Princess Diana’s cousin) and James writing the song with Scott, and how God is the #1 Songwriting instructor in our lives, how it works, how does the Lord teach James about songwriting? The band got back together! Jim Hyatt, Shawn Fichter, James Mitchell, Buddy Hyatt, Glen Duncan, Kim Copeland producer, and Kelly Schoenfeld Engineer, and very special guest appearance with Rachel “Ray Williams” on vocals, and of course James and Christine on Executive production, songwriting, and James on Vocals. “Here to Share and Care” makes it on the Gratitude album. Thanking everyone for supporting the dharmic Evolution, making us the #1 Music Podcast in iTunes multiple times in Singapore, Japan, the UK, Germany, Australia, Canada, and the US. 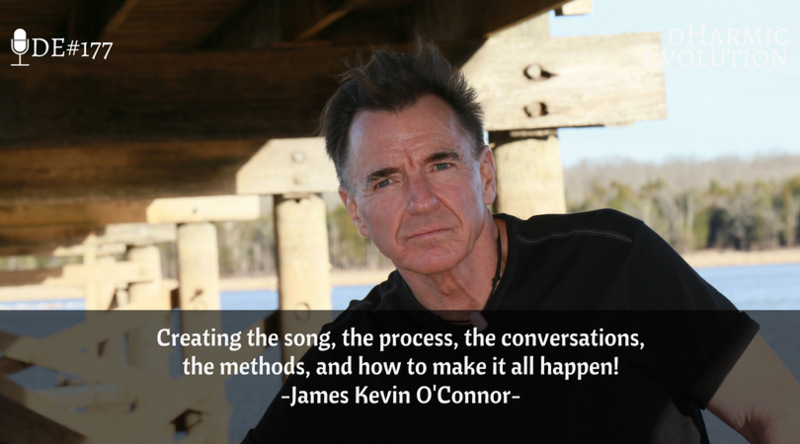 Creating the song, the process, the conversations, the methods, and how to make it all happen! “I AM VICTORIOUS” the album that you must hear! Unique, unusual, and amazing music like you have never heard before. Check out the interview with James and Scott on the James O’Connor Agency youtube channel. James Mitchell’s guitar playing, on at least 35 of James’ songs, his “one take” wonders that he brings to the table for every session that he plays on! A good song can be made great by having great players! Buddy Hyatt with an orchestra in his back pocket and how he puts the icing on the cake! The Actively Caring People brand, what it is, what it does, and how it impacts all who benefit from this, Scott’s body of work is all based on psychology and he is very passionate about educating all who wish to learn about this fabulous movement. 4Ocean, another brand that is doing amazing things for the planet, they are removing the plastics from the Ocean, they are turning fisherman who used to catch fish into the fisherman who now removes plastics from our once beautiful oceans!